With many families returning year after year, our facilities have been recently upgraded and every effort is made to make your stay a comfortable one. 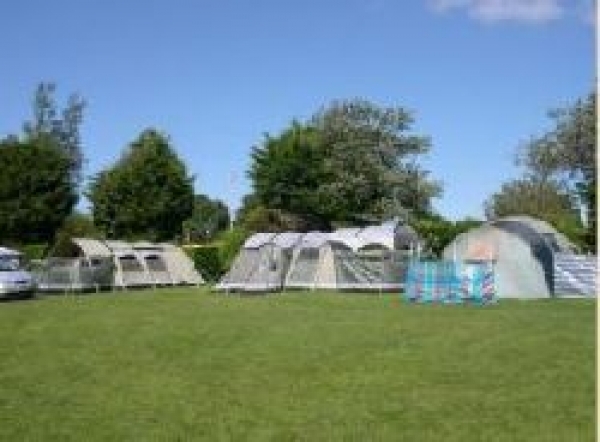 All pitches are well maintained with sheltered areas available, providing an informal and relaxed atmosphere. Bring your own TOURING CARAVAN, MOTORHOME or TENT along to our beautiful WALES IN BLOOM AWARD WINNING PARK with its colourful rockeries, borders, shrubs, ornamental fish pond and close-mown grass adding to the enjoyment of everyone who stays here. Excellent toilet facilities, FREE showers, some private cubicles for showering and washing, chemical disposal, baby changing room, shaver/hair dryer points, launderette, sinks for dishwashing, iron/ironing board, ice pack freezing, Calor Gas for sale, children's play area. At the end of the day, relax and enjoy a drink in our RESIDENTS' LOUNGE BAR with TV, pool table and adjoining games room with table tennis and video games. Near Tenby - a sandy composition 0.6 miles away. Near Tenby / Saundersfoot - a sandy composition 1.2 miles away. Next to Monkstone Head between Saundersfoot and Tenby. a beach of golden sands. Access it a little challenging via a long flight of steps down the cliffs with for the back of the cove. Near Saundersfoot - a sandy composition 1.3 miles away. Mostly sand with some rock and the head of the beach.